Blessed Apollinaris was born in Old Castile, Spain where he joined the Franciscan order. He was sent to Japan to head the Japanese Franciscan mission in 1614, the year that the new Japanese shogun had instituted a nationwide ban on Christianity and declared being a Christian a capital offense. Friar Apollinaris Franco evangelized covertly until he was arrested in 1617 and thrown into prison in Nagasaki along with other priests and laymen, for five years to await his execution. The conditions in the prison were exceedingly harsh in an attempt to force the prisoners to reject the faith. Apollinaris ministered to the other prisoners and converted some of the jailers through his example and teaching. 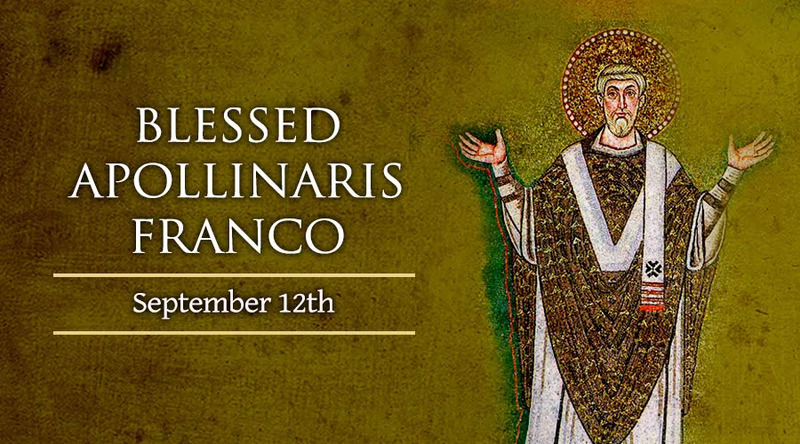 On September 12, 1622, he was burned at the stake along with other Franciscans and Jesuits.